1. Support various PCL formats including PCL XL, PCL5e, PCL5c, and HP-GL/2 (extensions: PCL, PRN, PXL, and PX3). 2. Support multiple output formats including PDF, PS, EPS, TIFF, JPEG, PNG, TGA, BMP, and PCX. 3. Customize output page size and resolution. 4. Option to set color depth for output files. 5. 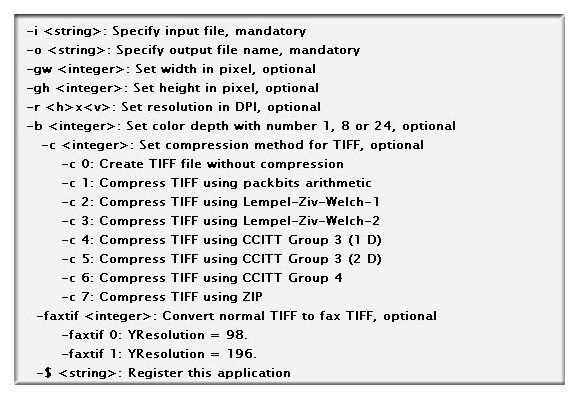 Option to convert PCL to faxable TIFF image. 6. Support Eastern Europe and Middle Eastern symbol sets. 7. Convert PCL to searchable textual PDF. 8. Convert PCL to faxable TIFF image. 9. Convert multipage PCL to multipage TIFF image.